A Wild and Wacky Way to Learn about the Instruments! Lets see, a Lion on the Violin? A Tiger on the Trombone? A Hippo on the Harp? A Moose on the Marimba? What a fabulous, fun, and educational way to learn about the instruments! 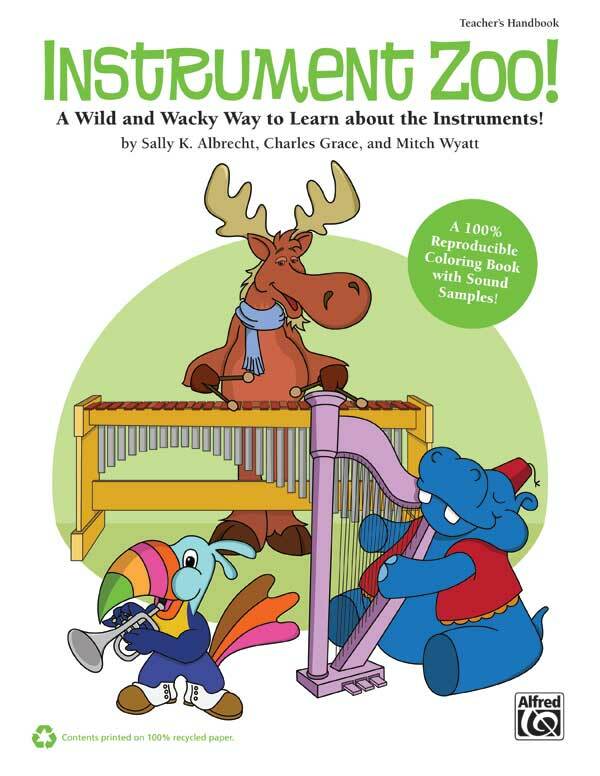 This reproducible coloring book includes a cute animal coloring page and an information sheet about each of the 29 featured instruments. Plus the Enhanced CD contains not only PDF files of each page, but also 60 sound samples demonstrating the way each instrument sounds. A wonderful tool for your general music classroom. Adorable, and a joy for all of your young music enthusiasts! Recommended for grades K-4. 100% Reproducible. The enhanced CD contains reproducible PDF files of each of the 29 drawings and information sheets, plus 60 audio sound samples.